Everyone has a cause they are passionate about and each month I make an effort to donate to NO KID HUNGRY. INSPIRATION for me is supporting a great cause that makes a difference in the lives of others. I believe to be inspired you must be passionate about what you do in all capacities of your life! There are so many causes to support but I feel the reason NO KID HUNGRY moved me to donate was because it serves children in the United States. I also wanted to use my influence as a blogger to spread awareness so I joined their blogger program. The money donated has such a significant impact in helping to provide meals to children in various communities. As a single mother, I am challenged with instilling in my children the importance of being grateful. It is troubling to see the amount of food we waste as a family knowing other children are going without food on a daily basis. When I researched NO KID HUNGRY I decided to donate on a periodic basis and then I was inspired to share the awareness through my blog. 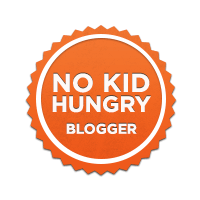 Hopefully my blog can act as a platform to encourage others to donate and influence fellow bloggers to take action through the NO KID HUNGRY blogger program. I will be the first to admit my kids take eating three meals a day plus snacks for granted. A few weeks ago I was contacted by Cotopaxi.an outdoor gear company that believes in the POWER of GIVING. I love the company’s principles of “Gear for Good” and Change the World “Do Good”. Do you support a special cause? How are you giving back? 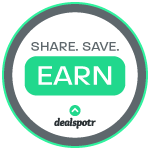 How many times have you spent countless time on buying a gift for those who have everything? Another great way to give back is to make a donation in their honor to support your charity or a cause they support. Just another example of GIVING! You can check out more on Cotopaxi here. The POWER of GIVING has a profound impact on the lives of others across the GLOBE! In this new year, MAKE YOUR COMMITMENT TO GIVE! Cotopaxi’s GIVING GUIDE explains how your monetary donation and volunteerism will impact the areas of Education, Livelihoods and Health. INSPIRATION for me is supporting a great cause that makes a difference in the lives of others. I believe to be inspired you must be passionate about what you do in all capacities of your life! There are so many causes to support but I feel the reason NO KID HUNGRY moved me to donate was because it serves children in the United States. I also wanted to use my influence as a blogger to spread awareness so I joined their blogger program. The money donated has such a significant impact in helping to provide meals to children in various communities. As a single mother, I am challenged with instilling in my children the importance of being grateful. It is troubling to see the amount of food we waste as a family knowing other children are going without food on a daily basis. When I researched NO KID HUNGRY I decided to donate on a periodic basis and then I was inspired to share the awareness through my blog. Hopefully my blog can act as a platform to encourage others to donate and influence fellow bloggers to take action through the NO KID HUNGRY blogger program. I will be the first to admit my kids take eating three meals a day plus snacks for granted. My plan this summer is to challenge my kids to come up with a creative way to help this CAUSE!!! STAY TUNED for their ideas!!! Please view these video to understand the PROBLEM we face wit with childhood hunger in America! How can you help? There are a few ways to get involved!! !